PASEO SAGASTA 32, PISO DE 335,42M2, SALON 72M2, TERRAZA AL CHAFLAN, DESPACHO, MAS 6 DORMITORIOS, GARAJE Y TRASTERO TODO EL PISO EXTERIOR. 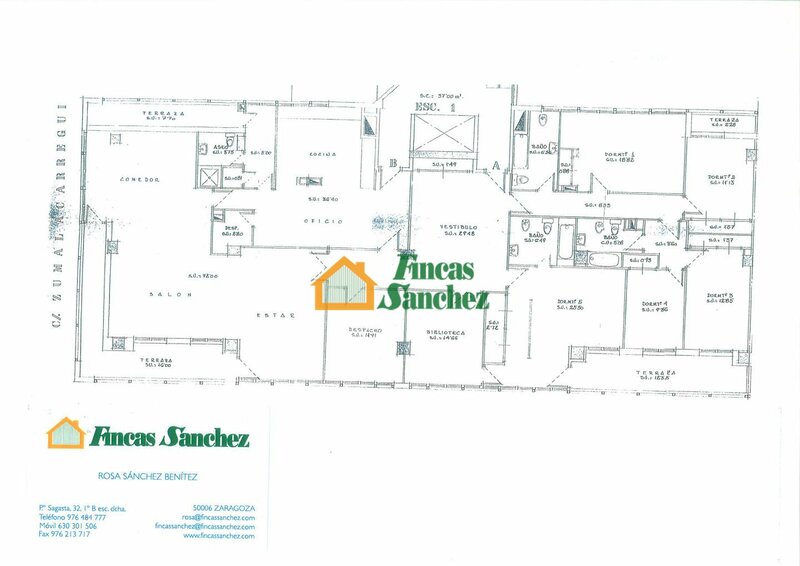 PISO EN VENTA EN PASEO SAGASTA 32, PISO DE 335,42M2, PLANTA ALTA, CONSTA DE SEIS DORMITORIOS EL PRINCIPAL CON BAÑO INCORPORADO Y SALIDA A TERRAZA A PASEO SAGASTA, MAS DESPACHO, COCINA DE 36 M2 SALON 72M2, GRAN RECIBIDOR, ARMARIOS EMPOTRADOS EN TODOS LOS DORMITORIOS. TERRAZA AL CHAFLÁN, GARAJE Y TRASTERO TODO EL PISO EXTERIOR. EMPOTRADOS EN TODOS LOS DORMITORIOS, MENOS EN BIBLIOTECA Y DESPACHO.